Urban Fit & Fearless™offers Urban Krav Maga classes and training in South London since 2012. 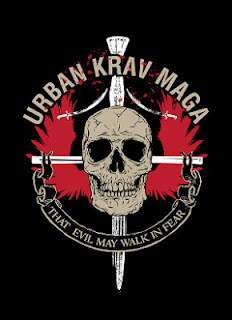 Urban Krav Maga is a self-defence system which has its roots in one of the better known Israeli Martial Arts. Meaning "hand-to-hand-combat" in Hebrew, Krav Maga (/krɑːv məˈɡɑː/) is a military-grade self-defence system that was initially developed for the Israel Defense Forces (IDF). 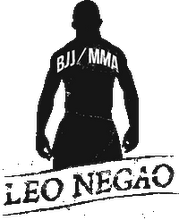 It consists of a wide combination of techniques sourced from various martial arts, combat sports and fighting systems. Krav Maga is known for its realistic fight training, its focus on real-world situations and its extreme efficiency and brutal counter-attacks. The system I teach, Urban Krav Maga is one of the most modern and intelligent adaptations of classic Krav Maga. By expertly combining strength training and fighting techniques, Urban Fit & Fearless™brings a unique flavour of Self-Defence. I was first introduced to Krav Maga in 2001 while in the military during what happened to be a punishing 3-week commando training. The funny thing is that, before the army, I wasn't into combat sports (so, no I'm not a Master ninja trained by Bruce Lee himself). And I went pretty far during a 15-year semi-pro career in the French premier league: I played one European Championship with the French national team and one European Cup with my club (Stade Toulousain Baseball). Above all, through hours of daily training, I learned a lot about conditioning, and physical and mental preparation. Fast forward to that time in the army, as I was listening to a commando instructor telling me how to use technique and speed to negate the strength of my enemy, I realized that Krav Maga and baseball had much in common. Same bursts of high intensity, same use of leverage to develop power, same emphasis on quick reactions... actually a lot of what I knew about baseball (biomechanics principles, sport psychology, etc) could be transferred to Krav Maga. After the army, I tried different Krav Maga organisations but I got quite displeased with their marketing/merchandising pressure tactics (having to pay for a membership before I ever met the instructor, having to buy the t-shirt before I ever got a chance to train, not to mention the insistence on grading). Very annoying also was the dogmatic teaching and the pseudo-military ethos many of them promote. You don't need any of these to provide serious training and I take it as a compliment that Time Out journalists who came to my class felt it was “easy-going and fun”. Previously, I had always thought that being part of a "recognised" federation meant better standards. ...and I've seen many dodgy techniques such as blocking a kick with the forearm (a friend of mine got both arms broken trying to do that). The thing that really bothered me with the systems I tried was how little they emphasized ground fighting (and when they did, it was very poor!). Ask bouncers and they will tell you that, one way or the other, most fights end up going to the ground. The ground is a very bad place to be because of an increased risk of injury, that's why it's so important to be well prepared. Roughly 50% of my students are women (compare that to the usual 10% in other classes), so I'm well aware of their concerns and circumstances. Having a strong ground game is essential for everybody and I strive to give my students the best techniques. My quest for an accessible, well-rounded, no-nonsense, no-frill system, came to an end in London when I joined the Urban Krav Maga crowd. This system offered a more open and sensible approach to self defence along with one of the best ground fighting component out there. I became a fully certified instructor under the system's Chief Instructors Stewart McGill and Leo Negao in February 2012. I'm also a registered instructor of the British Combat Association, Europe's leading association for the promotion of self defence and practical combat. My education background is in anthropology where I hold a Ph.D. in Archaeology from University Paris 1 Panthéon-Sorbonne. I'm still involved in research with various institutions (University College London, University of California, Berkeley, and Binghamton University) and I regularly carry out archaeological work in France and in the tropical forests of Central America.